What can our barges transport for you? Reliable barge deliveries, on time, every time. Transporting materials across Sydney Harbour, and surrounding waterways, can be challenging at the best of times. Our barge and crane capabilities are ideal for a wide range of residential and commercial deliveries to waterfronts. We deliver landscape supplies, construction materials, remove excavation and waste, process and dispose of green waste, and transport plant and machinery. Boronia Marine can move, lift, advise or coordinate logistics to help you deliver your shipment across harbour waters. 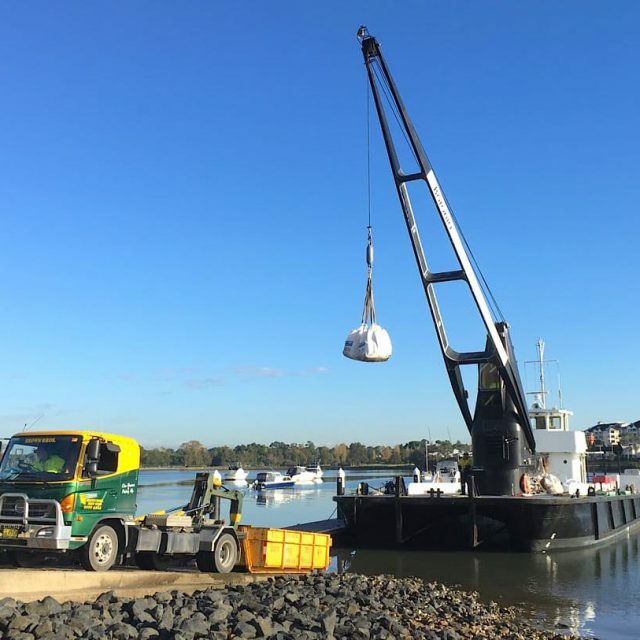 Residential property owners and a wide range of businesses depend on us to organise skip bins, bulker bags, and any necessary equipment to make waterfront deliveries effortless. Commercial clients rely on us to procure, organise, and manage support vessels or ancillary equipment, to assist in ensuring their projects run effortlessly, seamlessly and on time (for longer term marine projects click here to read more). 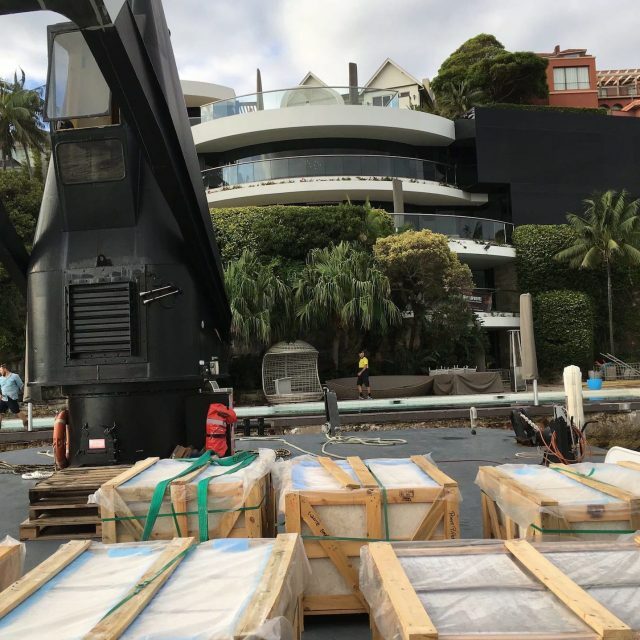 Whatever you need transported across Sydney Harbour, be it fragile items or heavy duty plant and equipment (and everything in between) Boronia Marine ensures safe and reliable transport. Our crane barge facilitates the residential waterfront property owner to transport building materials, landscape supplies and remove waste across harbour waters at guaranteed competitive rates. Boronia’s heavy-duty self-propelled steel barge construction allows for transportation of up to 60 ton in cargo for commercial marine services. Greater load capacity at efficient speed allow for real cost savings for our clients.